The amazing people from Cuddledry kindly sent Logan one of their brand new and very cute Poncho Towels. We received the aqua/turquoise towel for Logan to test, here is what we thought. I was very excited when we received this towel in the post as we've just got back into swimming after Logan's little accident and I really thought this would make the perfect towel for drying Logan when he came out of the pool. Well I wasn't dissapointed, it's fab! It's just the perfect size to keep your little one snug and warm but enough space so that they can walk safely without tripping over. The poncho towel is very thick and excellent quality as well. Perfect stitching complete with hood so even your toddlers head can be kept warm, it also helps with drying your toddlers hair quicker so less time in the changing room. Another brillaint feature of the towel is that it is SPF50+ so perfect for taking on holidays or down to the beach to protect your little one from the suns harmful rays. The lovely little logo on the poncho towel is a Hammerhead shark which does have significance, I'll let Cuddledry explain that and also the Rayosan technology in the poncho towels: "Hammerhead sharks are one of the few animals which can tan from sunlight, when swimming near the surface. They need a Cuddledry SPF50+ towel! The first of their kind in the UK, our poncho towels use Patented Rayosan technology which is like an invisible harmless dye which acts like a mirror and deflects the harmful UVA and UVB rays off the towel. These rays are bounced back and prevented from going through the fabric and harming your little one's delicate skin." So there you have it, an amazingly brilliant SPF50+ towel which is great for home or abroad. These Cuddledry Poncho Towels have also won the 2009/10 Bizzie Baby Bronze Award as well as the 2010 Practical Pre-School Silver Award. Get your hands on one of these amazing towels for your little one from Cuddledry's online shop for children ages 1-3 years. They also come in the colour lilac/cherry and RRP £22.99. Overall these towels are fab and Logan is such a lucky boy to have one. 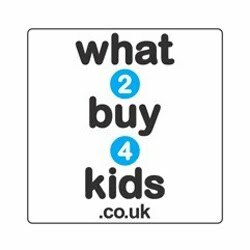 This has to be one of the best buys and value for money for the product you get and it will last a good while, even onto the next child as it's really good quality. This is one product which I will be recommending to anyone with a toddler who'll listen to me!! Please visit www.cuddledry.com for more products and information. Cuddledry are also on twitter and facebook so why not pop over and see what they get up to. Remember to tell them The Breastest News sent you! 1 comments on "Review: Cuddledry Poncho Towel"
The Baby Poncho Towels are fluffy and soft to the skin.